Want to run your dealership more efficiently? Call 800-322-9034 for a demo! ProMax is everything your dealership needs to SELL MORE CARS Request a Demo! ProMax automotive CRM is a streamlined, all-in-one system that simplifies your dealership software and processes so you can manage every aspect of your operation with ease; from tracking and following up on leads, desking deals, managing inventory, marketing to your customers, and more. Our all-in-one automotive CRM is everything your dealership needs in a simplified software system. Make the most of all your advertising, leads, prospect and customer databases for maximum ROI and showroom traffic. ProMax is the ultimate front end sales and management system that automatically matches the right vehicle with the right lender to maximize the profit opportunity of every potential customer. A live call tracking system that will allow you to track with precision the effectiveness of each advertising source your dealership uses. ProMax offers a variety of useful standard reports, as well as the ability to easily create custom reports. Our reports allow you to inspect what you expect efficiently and effectively. 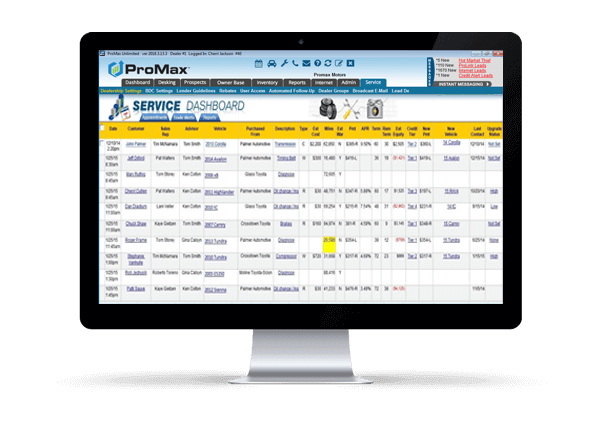 The ProMax Inventory module was designed for auto dealers to professionally and accurately manage their inventory and related expenses. As a reseller of all three major bureaus for 20 years we can help you reduce your credit report and compliance costs due to our high volume and efficiencies of operation. ProMax™ websites are custom designed and integrated completely with a dealer’s ProMax Online system. Inventory is automatically updated and leads are sent directly back into ProMax for effective lead management. All our effective lead generation products integrate seamlessly with the ProMax CRM and ILM tools and features. 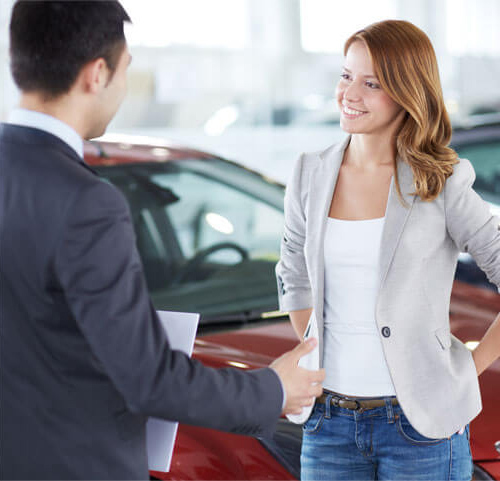 Together with your dealership, we work to identify the vision – the goals, and processes that will deliver the “Value and Success” of your store. ProMax automotive CRM is designed to give your dealership the competitive edge in a demanding marketplace. As a leader in the industry for the last 24 years, ProMax provides car dealers streamlined and simplified software that does everything you need for lead tracking and follow up, desking, F&I, and cost-effective marketing. Increase your sales and grosses, reduce your expenses with one easy-to-use system. The ProMax Customer Relationship Management (CRM) software ensures no opportunity slips through the cracks. Our comprehensive collection of web-based CRM tools ensure you make the most of all your advertising, leads, prospect and customer databases for maximum ROI and Showroom traffic. We provide the tools needed for your sales staff to easily manage and follow up with their prospects and customers. The ProMax automotive CRM and ILM solutions provide the technology to build and maintain happy and loyal customers. ProMax delivers technology to ensure no opportunity slips through the cracks. Simple daily work plans present your sales and BDC staff with tasks to complete for the day, based on follow-up and marketing campaigns tailored to your dealership. Designed by automotive professionals, ProMax makes it easy to manage a single rooftop or an entire mega-dealer group. Our Managers Dashboard gives you one place to access all of your critical data to effectively manage your dealership. ProMax can calculate every vehicle in your inventory, by every finance source you wish, to determine which combinations qualify. In just seconds, you will be presented lender and vehicle combinations that meet the criteria of your customer, sorted by profit, of course! ProMax will save you time, money, and help put together deals that would be lost using other systems. Integrated full color F&I; Menus, multiple professional looking proposals, and effective closing tools are all available to help close every customer. 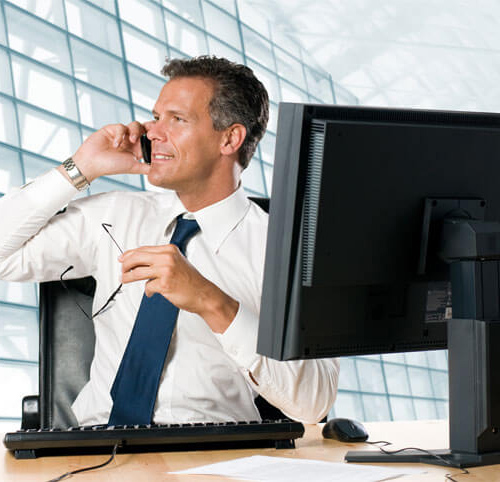 We'll also help save time submitting your payment calls or perfectly structured deals electronically. Our integrated credit application submission tool eliminates painstaking double-data-entry. We provide the tools needed for your sales staff to easily manage and follow up with their prospects and customers for new and repeat sales. ProMax Automotive CRM and ILM Solutions provide the technology to build and maintain happy and loyal customers. ProMax automotive CRM and lead generation products are designed to help your dealership increase efficiencies, improve operations, manage inventory, analyze data, and optimize dealership performance. Never let a prospect or customer slip through the cracks with the best status driven follow up system on the market today. There are also excellent tools for managers to ensure accountability from the personnel responsible for executing their follow up on a daily basis. ProMax has integrated and partnered with the industry's top vendors to make sure your dealership is running at its highest efficiency. By providing you the tools necessary to excel, we can help you provide better service and increase closed deals. Find, attract, and sell new prospects, nurture and retain your current customers, and entice previous customers back in with the automated marketing built into ProMax. Track every lead from any source, and customize follow up to convert those leads to sales. Take your email marketing to the next level and track your success every step of the way. Use our advanced filters to target select groups of prospects and/or past customers. Stay in touch with your customers the way they want to be informed. ProMax and ProMax Mobile offer a texting solution that is simple, powerful, and inexpensive. Market your inventory to prospects, with our powerful E-brochure. The E-brochure enables you to respond to leads with a fantastic presentation in just seconds whether you are sitting at your desk or anywhere. Locate opportunities to gain both sales and service customers. Stay on top of your customer's buying cycle by finding customers in an equity position and marketing effectively. With Real Time reporting you know about opportunites and can measure the effectiveness of your salesforce. Find customers in an equity position and entice them to buy with new rebates, new rates, and lower payments. Using ProMax's award-winning Desking solution. The Service Dashboard provides you with invaluable data mining tools. Track and target customers who have had service appointments but no deliveries, or had delivers but are not coming in for service. ProMax offers a variety of useful standard reports, as well as the ability to easily create custom reports. Our lead management, productivity, compliance, profit, and inventory reports allow you to inspect what you expect efficiently and effectively. I just wanted to take a minute to tell you and the rest of the ProMax team how much we enjoy working with the ProMax crm tool, it provides a 1 stop shop for all points of reference involving the day to day activity of working car deals. We have used many different CRM tools through the years from Sales Vision to Contact Management to Buzztrak and none have been as successful as ProMax. We have been using ProMax products for over two years now and highly recommend them to anyone in the automobile business. Over the years we have used several of the leading CRM and desking products and can honestly say that ProMax is miles ahead of all of them.